Since the beginning is always a good place to start, let me start with the feudal era General alluded to in the subtitle. My personal relationship with General Hanbei Takenaka (September 27, 1544 – July 6, 1579) started about four years ago, when I was first introduced to his direct descendent, Yohsuke Takenaka. About six months before that meeting, I first learned of General Hanbei through a TV samurai series. After the show piqued my interest, I started researching more and more about General Hanbei and he quickly gained the position as my favorite Sengoku era (1467 – 1603) General. To quickly summarize General Hanbei’s life, he gained a reputation as an outstanding military tactician and strategist during a period in Japan’s history when countless warlords and military professionals battled each other for supremacy, and armed conflict spread across the entire length and breadth of Japan. General Hanbei’s big break was in 1564 when he took Inabayama Castle, reputed as impregnable, with only 16 men. Due in part to this episode, he became one of Lord Hideyoshi Toyotomi’s (Japan’s second unifier) most trusted advisors until General Hanbei passed away from tuberculosis at the young age of 36. The domain over which General Hanbei presided was the Sekigahara region of what is now Gifu Prefecture. Sekigahara occupies a strategic location as it sits astride the entrance to a mountain pass linking the fertile Mino Plains to the shores of Lake Biwa, a vital transportation corridor. In addition to being place where the Shinkansen trains get bogged down due to heavy snows, Sekigahara is noted primarily as the battlefield where the forces of Lord Ieyasu Tokugawa triumphed over the forces of General Mitsunari Ishida on September 15 (by lunar calendar), 1600. 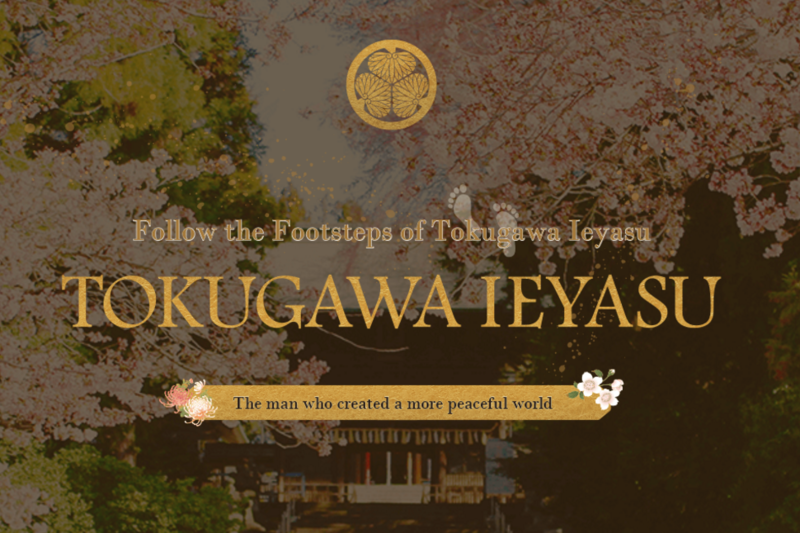 This victory paved the way for Lord Ieyasu establishing in 1603 the Tokugawa Shogunate, heralding an era of relative peace which lasted from 1615 until 1868. While the Battle of Sekigahara took place long after General Hanbei was gathered to his fathers, General Hanbei had an unmistakable influence in ensuring victory went to the Tokugawa forces, so perhaps it was only fitting this epic battle was fought on General Hanbei’s home turf. This will be discussed in a future column here. For now, fast forward about 415 years, and a mutual friend brought Yohsuke Takenaka and I together for a business meeting. 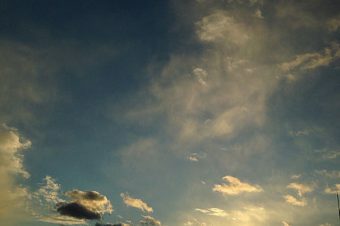 Over lunch, we engaged in small talk during the course of which it gradually dawned on me Yohsuke was General Hanbei’s direct descendent. Since that initial meeting, Yohsuke and I became steadfast friends. It helped we were both members, albeit in different branches, of a large philanthropic organization. Although Yohsuke since moved back to Hyogo Prefecture, he and I get together two or three times a year in Tarui town, Gifu Prefecture. Why Tarui? 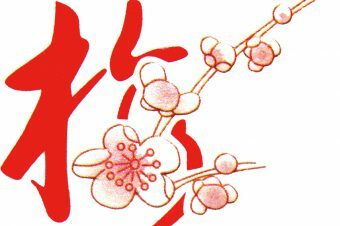 Tarui is known today as General Hanbei’s hometown. Given today’s political boundaries, both General Hanbei’s original hilltop fortress on Mt Bodai and the flatland fortress established by his son are now in Tarui instead of the town of Sekigahara. 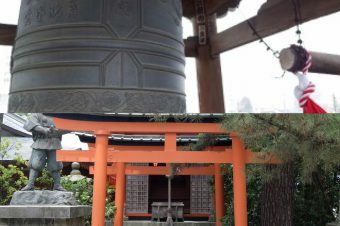 Of particular relevance to this article series is the fact the Takenaka family temple, Zendouji, where General Hanbei’s soul is interred (his body is elsewhere), lies in the Iwade district of Tarui. 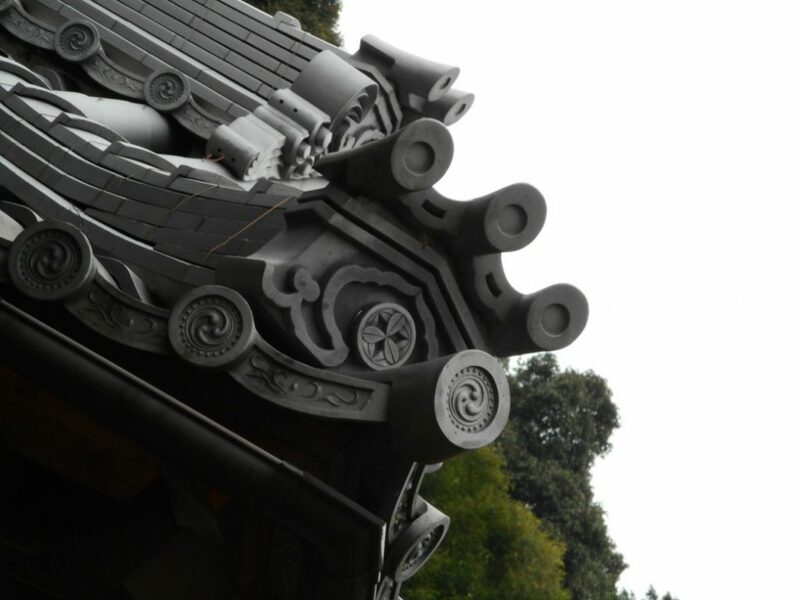 The Takenaka family crest on a roof corner tile of Zendouji main hall. 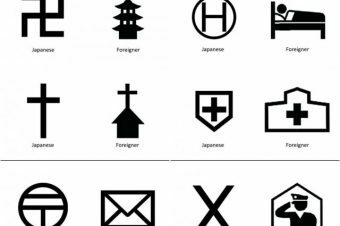 Note: Zendouji can also be found spelled as Zendoji/Zentoji/Zentouji. The Tarui citizens I am friendly with all pronounce the name with a “d” so I’ll follow suit. I hate having to jump around in time, but in order to have readers understand how this story unfolds, I must now go back to the 12th century and introduce Musashiboh Benkei. Usually referred to as just “Benkei,” he was a legendary warrior monk serving Lord Yoshitsune Minamoto in the 12th century. While his story, and those of Lord Yoshitsune, Lord Yoshitsune’s elder brother Lord Yoritomo and the Kamakura Shogunate (1192-1333) will be covered in later episodes of this column, suffice it to say Benkei is a well known historical personage nationwide, but particularly so in Kamakura, my hometown. He is known for his immense size, incredible strength, and unwavering loyalty to his chosen liege, Lord Yoshitsune. Benkei and Lord Yoshitsune were known for their triumphant victories over the forces of the Heike Clan during the six year long Genpei Wars. One such battle was fought at Ichi-no-Tani (#1 canyon), on the outskirts of modern day Kobe. The Heike forces were encamped on the beach at the foot of the canyon. While their flanks were closely guarded, it was assumed the canyon behind them was so steep the Minamoto forces couldn’t come down either mounted or on foot, so there were no forces deployed to protect the rear. Lord Yoshitsune, after talking to some local hunters, found out deer descended the slope from time to time. Thinking wherever a deer could go a horse certainly could go as well, Lord Yoshitsune had a couple horses pushed over the edge to see how they fared. The horses managed to make it down the steep slope, so Lord Yoshitsune made his soldiers (including Benkei) mount up and charge down the slope to successfully mount a crushing attack on the Heike encampment. Fast forward now to the 16th century, when General Hanbei was so enamored of Lord Yoshitsune’s tactics at Ichi-no-Tani, he had a battle helmet formed in the shape of a vertical curve, and called it the Ichi-no-Tani helmet. 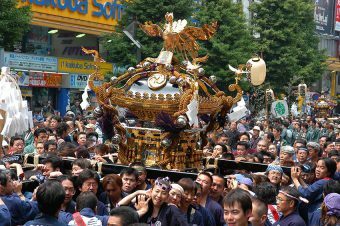 (I’m going on faith the helmet in fact represents Ichi-no-Tani, because to me it just looks like a radar antenna.) This battle helmet became General Hanbei’s trademark, and also that of another general who fought at the battle of Sekigahara while wearing the very same. 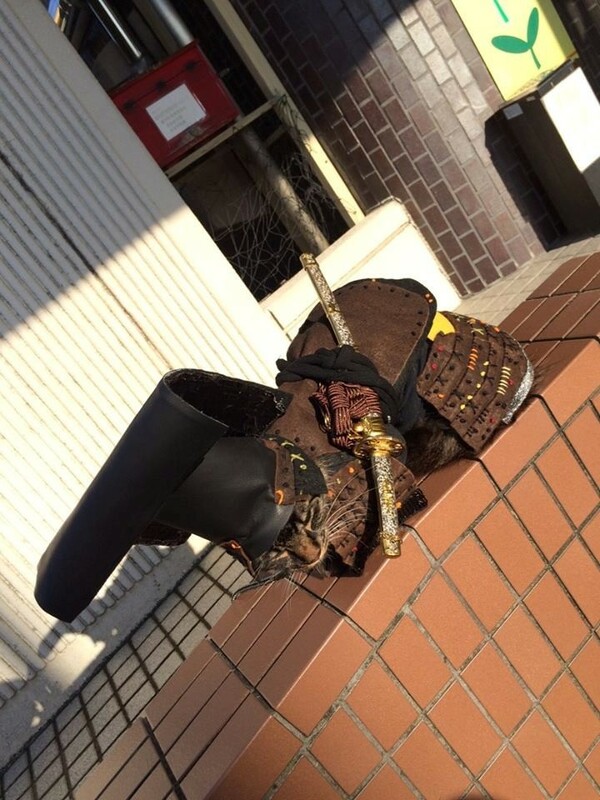 This helmet is the connection which, however tenuous, in my mind links General Hanbei to Lord Yoshitsune and Benkei. Also, the Takenaka family is part of the extended Minamoto Clan as well. 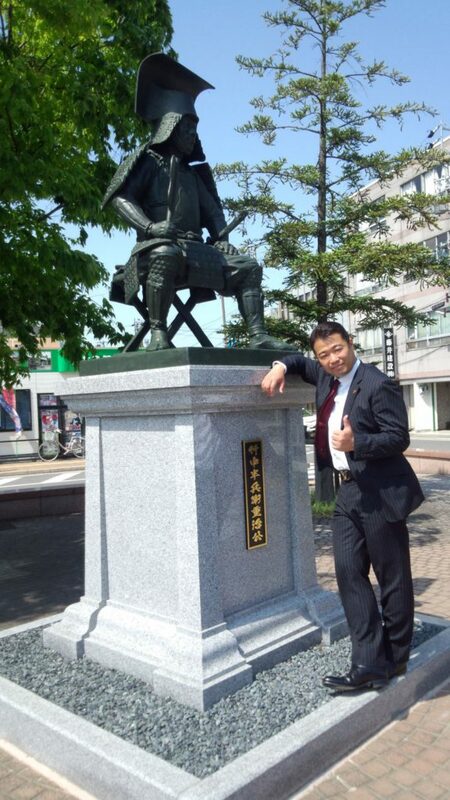 Here is a photo of Yohsuke at Tarui Station, standing next to the statue of his legendary ancestor. Please note the Ichi-no-Tani helmet General Hanbei is wearing. 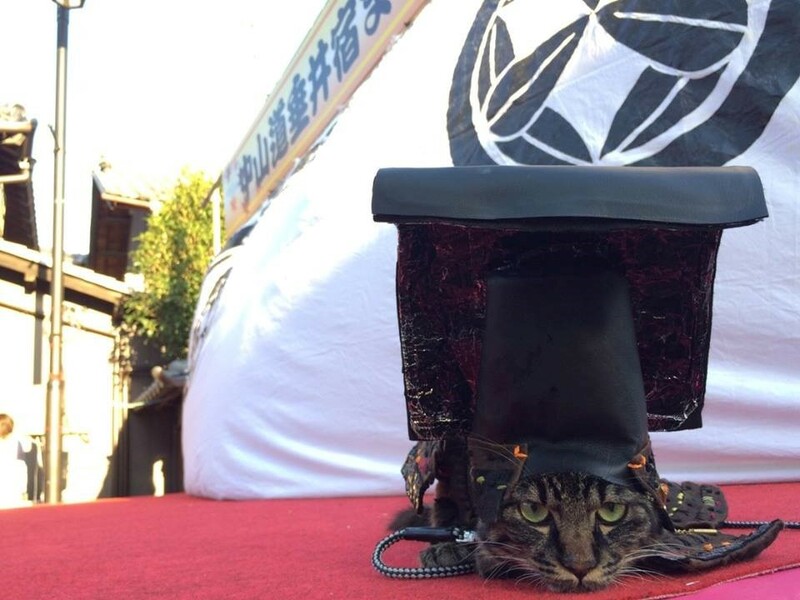 These pictures of a cat wearing a replica of the Ichi-no-Tani helmet were taken during a parade held in Tarui. The family crest on the curtain immediately behind the cat in the first picture is the Takenaka family crest. That’s probably enough information for one segment, so I’ll stop here. Confused? Okay, let me summarize the key things which I want you to remember when reading the next installment.